get to make kids eat dry fruits this way....it's easy and delicious!! mix the custard powder in 2 tblsps of cold milk and make a paste. immerse figs and dates into water and microwave on high for 5 minutes till it gets slightly soft. 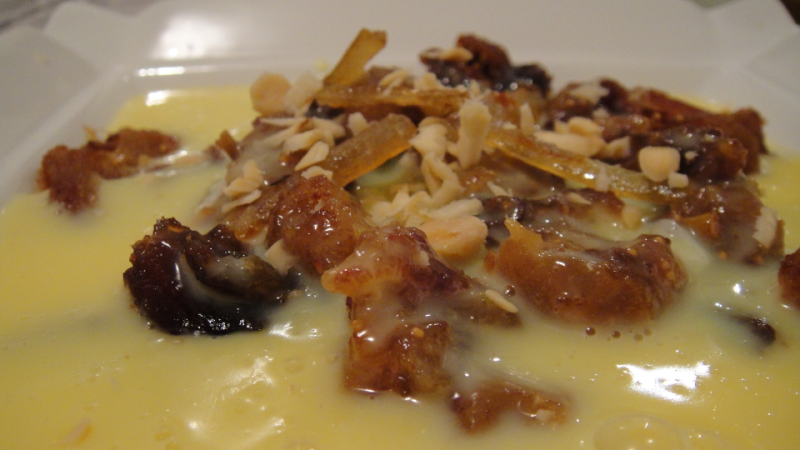 arrange the soft dry fruits on a serving dish and pour the prepared custard over it. garnish with orange rind and almond scrapes. Delicious Mix of dry fruits and cream,Sneha. u can use hung curd in place of cream to make it a low fat.